A pioneering daily UV sun protector with SPF 15 that creates an ultra-light skin shield and helps provide protection from environmental damage. Golden Seaweed, Knotgrass and Chicory Root Extracts help provide protection from environmental exposure and hydrates skin, restoring its natural strength. Water (Aqua), Octocrylene, Ethylhexyl Methoxycinnamate, Isoamyl Laurate, Propanediol, Sorbitol, Butyl Methoxydibenzoylmethane, Caprylic/Capric Triglyceride, Argania Spinosa Kernel Oil, Tocopheryl Acetate, Glycerin, C12-16 Alcohols, Silica, Phenoxyethanol, Polysorbate 20, Magnesium Aluminum Silicate, Palmitic Acid, Lecithin, Sclerotium Gum, Xanthan Gum, Limonene, Ethylenediamine/Stearyl Dimer Dilinoleate Copolymer, Citrus Aurantium Dulcis (Orange) Peel Oil, Inulin Lauryl Carbamate, Algin, Chitosan, Coco-Glucoside, Isoamyl Cocoate, Lactic Acid, Polygonum Aviculare Extract, PVP, Cichorium Intybus (Chicory) Root Extract, Bisabolol, Citrus Aurantium Amara (Bitter Orange) Flower Oil, Benzoic Acid, Citrus Aurantium Bergamia (Bergamot) Fruit Oil, Lonicera Caprifolium (Honeysuckle) Flower Extract, Lonicera Japonica (Honeysuckle) Flower Extract, Galactoarabinan, Chlorphenesin, Gellan Gum, Cedrus Atlantica Bark Oil, Citrus Nobilis (Mandarin Orange) Peel Oil, Alcohol, Sodium Citrate, Sodium Benzoate, Dehydroacetic Acid, Hydroxypropyltrimonium Honey, Potassium Sorbate, Cetrimonium Chloride, Disodium EDTA, Linalool, Ethylhexylglycerin, Laminaria Ochroleuca Extract, Jasminum Officinale (Jasmine) Flower Extract, Rosa Damascena Flower Oil, Tocopherol, Citronellol, Sorbic Acid. 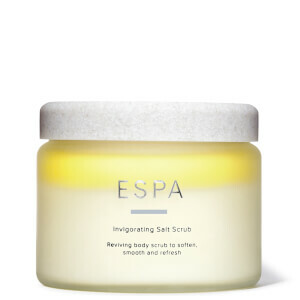 I think this is a very good product & its good value. I like the smell & how absorbing the cream is. I would recommended this to my friends. Love this product, it's light, non-greasy and quickly absorbed into my skin, so you are totally unaware of having another layer on your skin. Disappointed about the change in packaging now, the boxes before were stronger and the shredded coloured paper made the whole package feel more special. 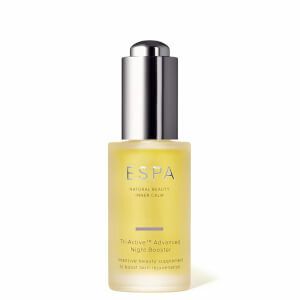 I use the pro optimal range and this is perfect for completing my skin care routine. I apply after using moisturiser and I feel it gives my skin that extra protection against daily elements both during winter and summer with it having spf 15 added. I would definitely recommend this product. Quick delivery. 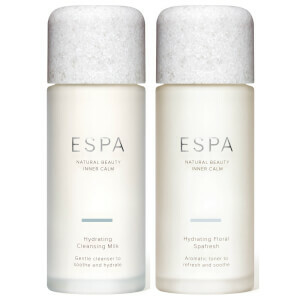 First time I have ordered from ESPA - good quality products in generous sizes.